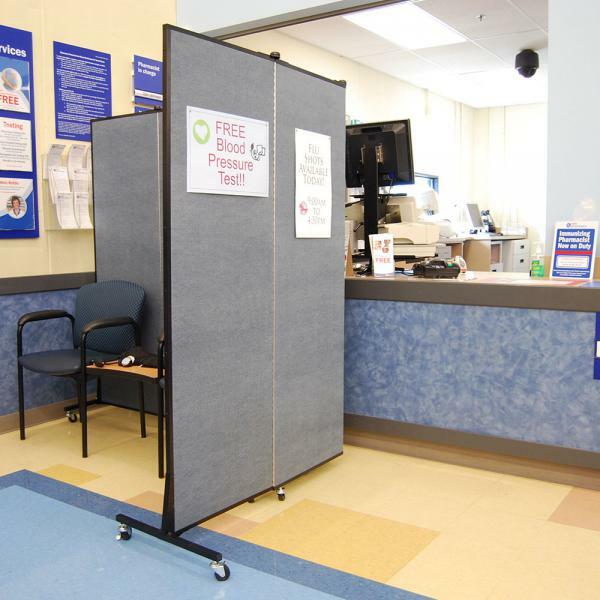 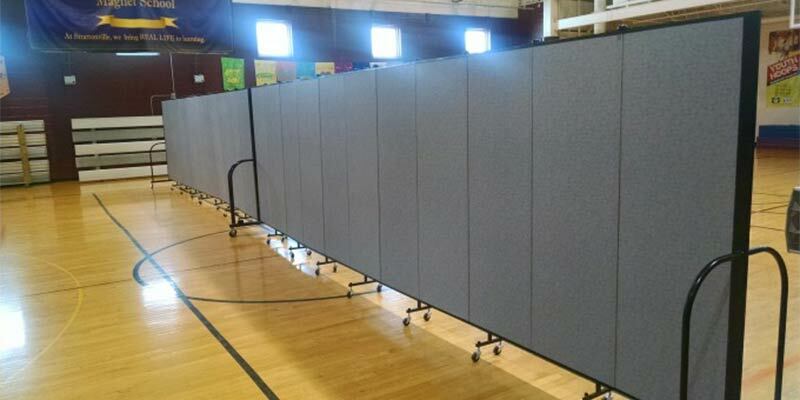 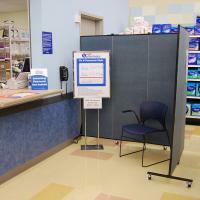 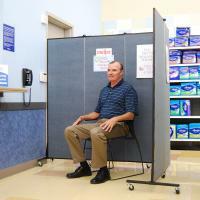 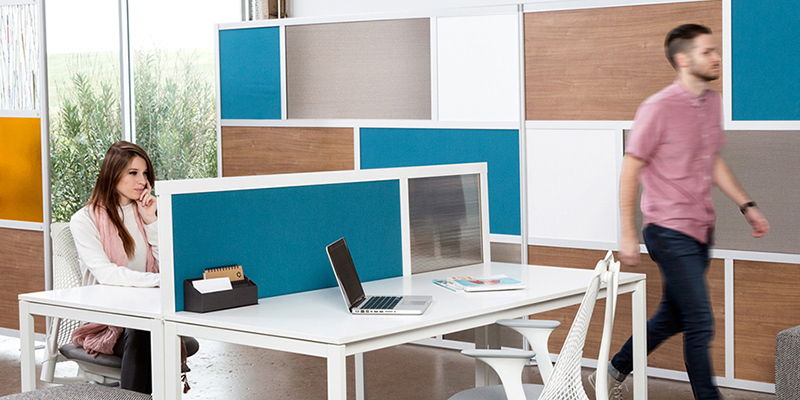 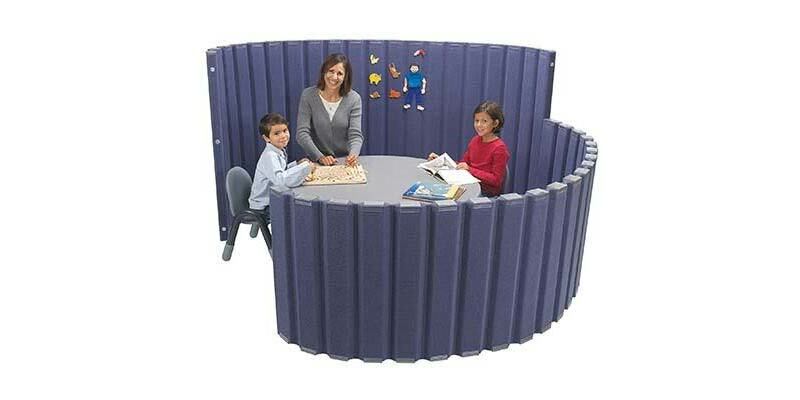 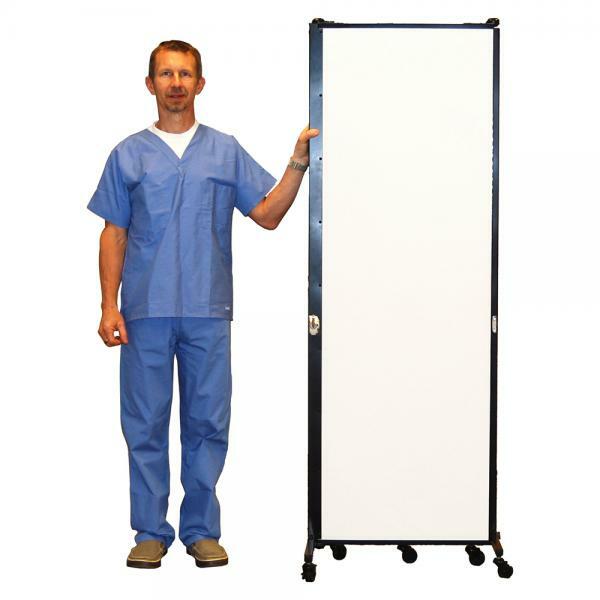 Healthflex Medical Privacy Screens are constructed using acoustical, tackable fabric panels covered with an antimicrobial coating. 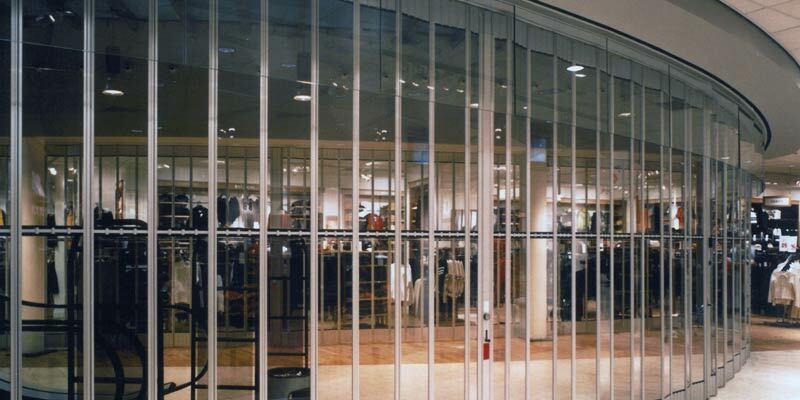 Panels glide on self-leveling ball bearing casters and are constructed using reinforced steel end supports for durability and maximum stability. 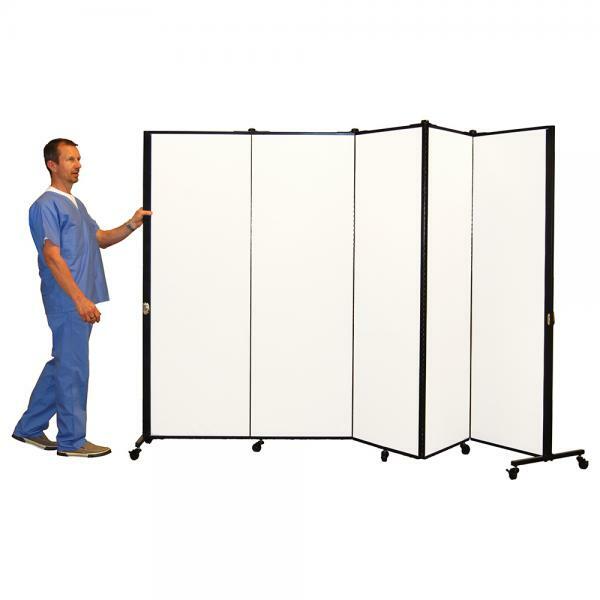 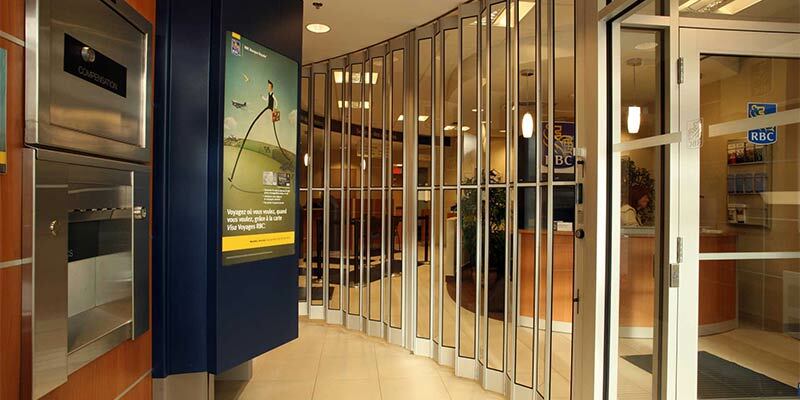 Gap-free fully hinged panels allow you to create a variety of shapes and angles such as straight lines, L-shapes, zigzags and semi-circles while still maintaining patient privacy. 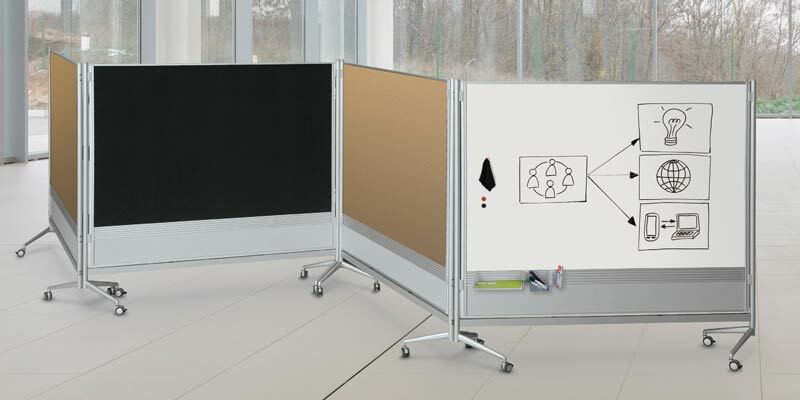 Use connectors to make longer units. 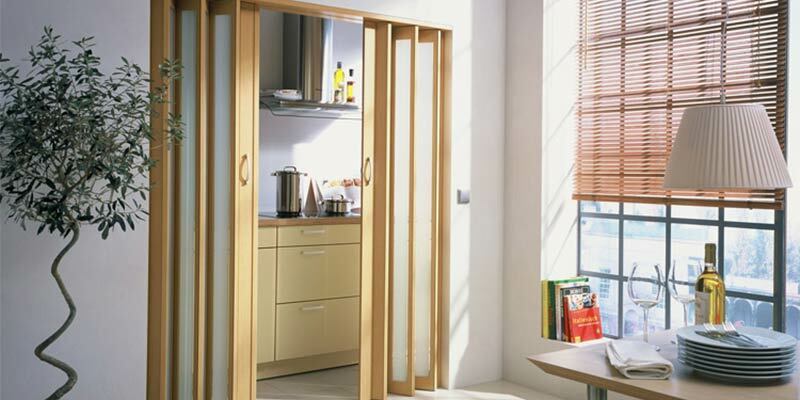 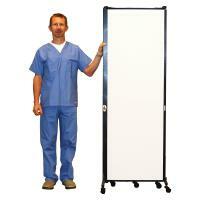 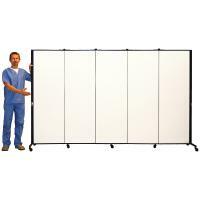 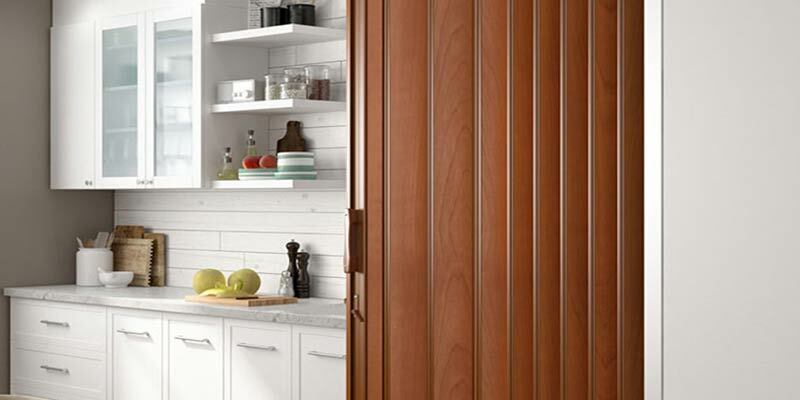 Units fit through any standard doorway and store in a 2′ X 3′ area. 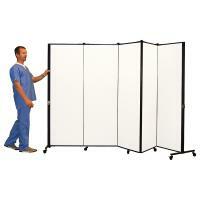 Easy to move, easy to use, and just as easy to store.